How can funders help develop the kind of civil society we need? How can funders support development of a civil society that will provide ‘a creative response to everything from inequality to racism to technology, to prevent an “us and them” future, connect us better and humanise the world we live in. Shaping everything from local communities to charities to the work of the future.’ Julia Unwin makes some suggestions in her Alliance blog on ‘Funding – and power – in the hands of people and communities’. What she describes is the sort of civil society that we need to create a good society, as set out in Barry Knight’s Rethinking Poverty. A new paper by Jenny Hodgson and Anna Pond also has suggestions for funders. 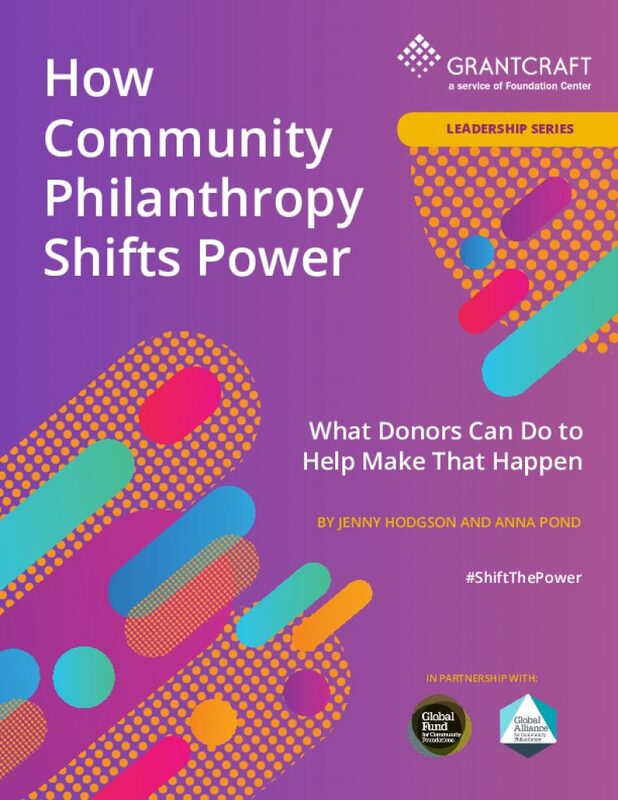 How Community Philanthropy Shifts Power: What Donors Can Do to Make That Happen focuses on the role of community philanthropy in creating local ownership and accountability, and how donors can ensure that their grantmaking approach empowers rather than undermines civil society. Writing for Alliance¸ Clara Bosco also looks at ‘Why community philanthropy enables people-powered, sustainable development from the ground up’. This is the measure that gets to the heart of who the economy is really working for, writes Annie Quick of the New Economics Foundation – which is why they’re so excited about the decision by the Office of National Statistics to publish their own analysis of the drivers of low wellbeing. Giving millennials £10,000 each is the Resolution Foundation’s suggestion for helping to tackle the generation gap, one major aspect of inequality in the UK. ‘… after two years of preparation and grassroots coalition-building, the PPC [The Poor People’s Campaign: A National Call for Moral Revival] kickstarts a social justice effort with six weeks of peaceful direct action in state capitals around the US,’ reports Mary O’Hara in a Guardian article called ‘US citizens are standing up against poverty – the UK should follow suit’. 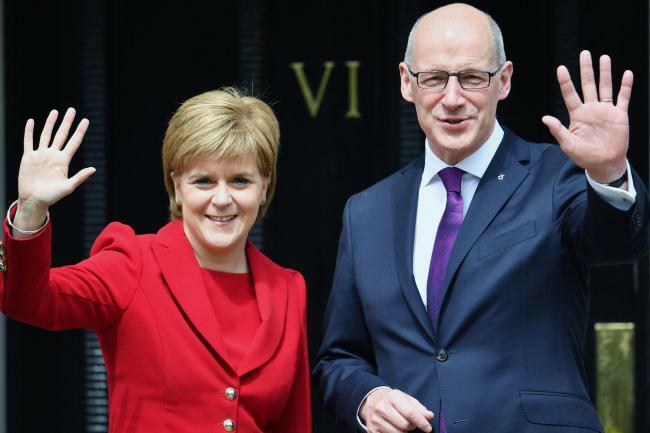 Where, John Swinney writes, ‘closing the poverty-related attainment gap is this government’s defining mission’. Michael Sandel’s focus, writing in the New Statesman, is on saving democracy, no less. He identifies ‘income inequality; meritocratic hubris; the dignity of work; and patriotism and national community’ as ‘four themes that progressive parties need to grapple with if they are to hope to address the anger and resentments that roil politics today’. ‘Whether such a world [a world without work] is a prospect to welcome or to resist is a question that will be central to politics in the coming years. To think it through, political parties will have to grapple with the meaning of work and its place in a good life.